1. WHAT HAVE YOU LOVED SINCE CHILDHOOD? Before you take desperate measures and get rid of everything, ask yourself if there are colours, or items you’ve loved since childhood. I’ve always been a farm girl at heart, so in my case, I’ve always loved the look of weathered timber or finding a spot in the house for a dead branch (to my husband’s dismay). I also love the ocean and find Royal blue and deep greens deeply soothing. I also tend to combine crisp white ornaments with items that look quirky or banged up and old. 2. HOW DO YOU WANT TO FEEL WHEN WALKING THROUGH THE DOOR? After a day’s work spending time on public transport or on the road, we want to feel like home is a relaxing port of call, a place of rest. A “place of rest” can be different for each person. For some it may be clean lines, a few ornaments, no clutter, shiny white floor tiles and strong lines. For others it may very well be lots of cushions, an abundance of patterns, a lick in the face by the family dog and a stack of books on a vintage hall table. 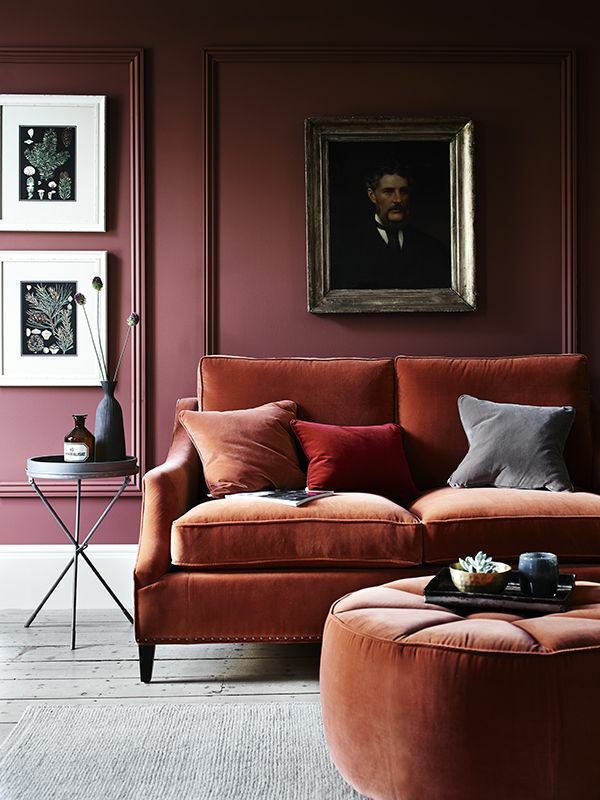 All of these items convey a mood in one’s home and should be considered carefully before purchasing an array of new items that wouldn’t fit the mood that you really want. 3. WHAT TYPE OF ORNAMENTS DO YOU LOVE MOST? We all collect items through our lifetime, whether it’s something you fall in love with at a flea market, an item you purchased in Paris on your honeymoon or a mask you picked up during your travels through Africa. When you take a photo of all the items you don’t want to part with, you’ll be left will everything you love. You’ll see that a particular theme will start to develop and this will most likely be the right direction for you design style. 4. WHAT WOULD BE ON YOUR WISHLIST IF MONEY WAS NO OBJECT? We tend to hold on to furniture items because it’s practical, or your mum gave it to you because she had no room for it, maybe it was a gift, or if it can stand just fine on only 3 legs, we’ll fix it over the weekend. Use your imagination and think of what you would buy if there was no limit to what you could spend. Think about the style of furniture for that perfect room and how you would complete the look with cushions and ornaments. If your imagination takes you to upholstered accent chairs with cabriole legs, a white armoire and glass chandelier, your style will probably lean towards French Provincial. 5. WHAT DON’T YOU LIKE? In the same way that we should determine what we love, we should also be very sure about what we don’t like. I know that I don’t like shiny, black surfaces, bright accent wall colours, or synthetic looking leather. When you know these things, it will very quickly steer you in the right direction and help you discard the styles you don’t feel comfortable with. Once you’ve documented your likes and dislikes and made a list of items you already have, collected some images from magazines and started a Pinterest board, you’ll be more confident in the knowledge of which style you’re heading for. Of course, if you’re still in the dark, we’re happy to help! While quizzes are fun, they probably won’t identify your true decorating style and may leave you more confused. According to the one below, my style is “Coastal”, but my true style has a bit of Modern Country thrown in. Style is a bit more complicated than a quick questionnaire, but if you want to have a bit of fun, follow the link below… it could be completely off the mark! How’s your Dining Table Shaping Up?